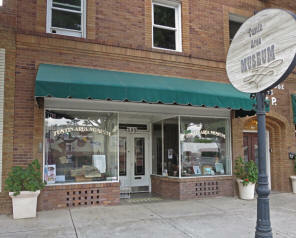 Tustin Area Historical Society and the Tustin Area Museum! Our website proudly celebrates the local history of the city of Tustin. We have some great old photos and some interesting articles and you can be sure that we will add more over time. We're always looking for more content - articles, photos, and even old ads and printed materials. Should you have anything you would like to share, please contact us either at the museum directly or to our webmaster, Guy Ball. Take a few minutes and explore the site. Contact our webguy with any comments or recommendations regarding the site. Donate via your Amazon purchase! Here's a reminder for those of you who shop Amazon online! Tustin Area Historical Society has registered with Amazon Smile, which provides nonprofits the ability to benefit from every online purchase! To help us while you are having fun shopping on Amazon, all you initially need to do is log on to TAHS unique Amazon link, https://smile.amazon.com/ch/23-7374414 -- which will set you up with us in their system so that .5% of the cost of your online purchases will benefit Tustin Area Historical Society. (At no cost to you - this is donated from Amazon!) From then on, all you need to remember is to always go to www.smile.amazon.com instead of just www.amazon.com when you want to shop online. That is it! Please join us in helping TAHS benefit from your online shopping! If you have any questions, please contact the museum for help at tustinmuseum@att.net. View the article in the Orange County Register by clicking here. Juanita Lovret's Book on the History of Tustin Available at the Museum! Juanita's book features her personal remembrances of life growing up in Tustin. Her wonderful writing style entertains while it informs. This beautiful book from History Press features over 140 pages with articles and photos from the earliest years, through Tustin's periods of growth and change, its booming agriculture period, and then as it was touched by World War II. The book moves on to the late 20th century where the new freeways hurt local businesses and the city annexed neighboring territory allowing it to grow into the community it is today. Cost of the book, if purchased at the Museum, is $20 (including sales tax). 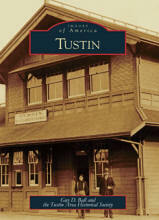 with proceeds from the book sale benefiting the society's continuing Tustin history-based educational programs in our local schools and the on-going preservation of Tustin's historical materials. Click here to download an order form. 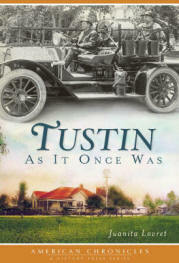 Photo Book on Tustin History Available! The Tustin Area Historical Society worked with local author Guy Ball and Arcadia Publishing to produce Images of America: Tustin, a book of 200 vintage Tustin photos with companion text. Most of the photos were chos en from the thousands of images in our extensive collection. Others came from collections of local families, the Orange County Archives, and other groups. The book is available from Tustin Museum for $22 (sales tax included) and proceeds from the sale help our ongoing preservation of Tustin history efforts and our collaboration with TUSD through our History in A Box program. Copies for sale are also available at the Irvine/Tustin Barnes & Noble (on Jamboree). If you buy a copy through the Society, you have the option of having the author sign and personalize your book. (Perfect for special birthday and holiday gifts!) The museum is open on Tuesdays and Thursdays of each week from 9 am to 2 pm, and the first and third Saturdays of the month from noon until 3 pm. Our location is at 395 El Camino Real at Main St. Call the museum at 714-731-5701. Click here for more information on the museum and its location. Click here to view/download a PDF flyer with ordering information. If you would like to pick up the book from the museum, you do not need to add shipping. Otherwise please add the appropriate shipping cost. featuring old vintage images and new current photos. by resident historian Juanita Lovret. The museum is open on Tuesdays and Thursdays of each week from 9 am to 2 pm, and the first and third Saturdays of the month from noon until 3 pm. Our location is at 395 El Camino Real at Main St. Call the museum at 714-731-5701.